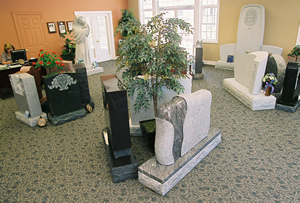 Facilities | Polchinski Memorials, Inc.
Our new, state-of-the-art facility is the only indoor showroom in Westchester County, New York. 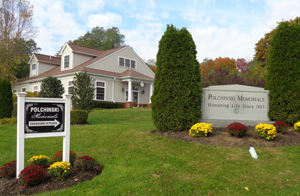 You can reach us easily with our location off of the Taconic Parkway, Hawthorne, NY. 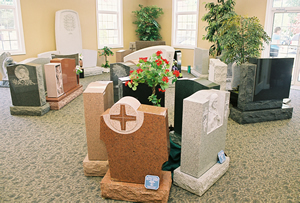 We are ready and prepared to serve families who require cemetery services in all areas of Westchester, Putnam, and the New York boroughs, as well as Long Island and Fairfield County, CT.
With our indoor showroom and conference room facilities, we can illustrate the many options available to you as you begin the selection of your memorial headstone, monument or private family mausoleum. 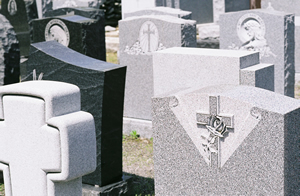 Engraving on existing cemetery monuments is our expertise, as well. Our easy to reach location will allow you the opportunity to visit our showroom, any season of the year, and learn all you need to know to make an informed decision. Our firm, founded in 1883, has been privileged to design fine memorials for families throughout the New York metropolitan area. We look forward to the opportunity of being available for you and any ideas you may be considering. The quality of our material and our workmanship continues to be of the highest standard, maintained for over 135 years.